Assessing the status of the ecology in water bodies is essential in understanding the response of ecological system to water quality and water quantity. Experienced OHES ecologists are able to assess a wide range of ecological indicators such as aquatic macro-invertebrates, macrophytes, diatoms, plankton and fish. We provide an integrated approach, linking the aquatic ecology to habitat availability, flow and water quality. 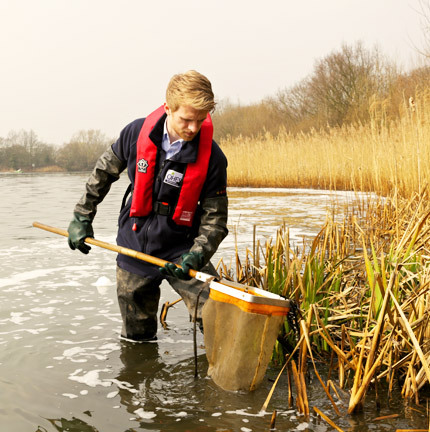 Our expert staff are able to assess a range of habitats including rivers, lakes, ponds, canals, and tidal or marine environments. 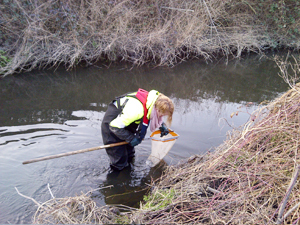 OHES has been involved in a wide range of aquatic ecology monitoring projects, gathering ecological monitoring data following pollution incidents. We are able to provide this service throughout the country, using highly skilled and experienced freshwater, fisheries and protected species ecologists and providing a quick response and turnaround. Notable projects include an extensive post-pollution assessment and recovery monitoring programme following the loss of almost 250,000 litres of fuel oil in Scotland following a train derailment, which caused an immediate and significant ecological impact. Once the immediate impacts had been remediated by OHES, we conducted a series of aquatic macro-invertebrate; fisheries and protected species surveys to investigate the longer term impacts on the ecology of the affected streams. On a comparable scale was a loss of 40,000 litres of aviation fuel to ground and to a network of field drains in the North of England. In this case, no discernable impact was found on the river ecology, which included native crayfish, as a result of OHES’ pro-active incident response measures. 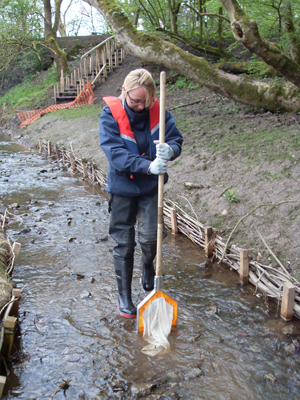 Other examples include surveys in London, South Wales, Lancashire, South Yorkshire and Northumbria, where our specialist skills were required to design aquatic macro-invertebrate, water quality and sediment quality survey programmes, investigating any immediate and longer-term effects of a variety of pollution sources. This service is very closely aligned to our other capabilities and extensive expertise in water quality, fisheries, habitat assessments, protected species and emergency aeration. 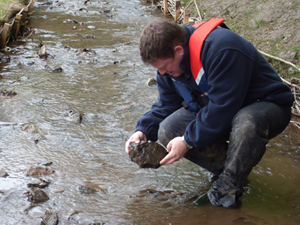 OHES’ specialist ecological sampling and analysis services and technical expertise allows us to provide technical advice as a framework contractor to Natural England and Scottish Natural Heritage. For the Natural England framework, this includes the assessment of terrestrial and aquatic macro-invertebrate assemblages across England and Wales, which are used to determine the status of Sites of Special Scientific Interest (SSSI) for invertebrate parameters. The Scottish Natural Heritage framework includes assessments for invertebrates, fish and vascular plants in lowland wetlands, rivers and streams and standing waters across Scotland. OHES’ marine and estuarine ecologists are able to provide bespoke monitoring of benthic and nektonic (fish) communities in estuarine and marine systems using a range of available methods. 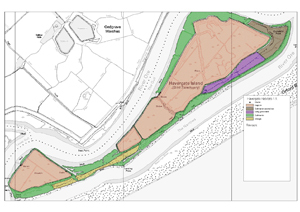 An example of this is work conducted on behalf of the RSPB at Havergate Island, which is part of the ecologically important Alde-Ore Estuary and has protected conservation status as part of a National Nature Reserve, Site of Special Scientific Interest (SSSI), Special Area of Conservation (SAC), Special Protection Area (SPA), Ramsar Site and is also a part of the Suffolk Coast and Heaths Area of Outstanding Natural Beauty. 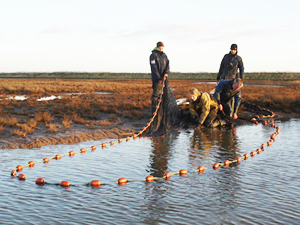 Evaluating a range of monitoring techniques available to assess the invertebrate and fish community at this site, OHES used micro-mesh seine nets to establish a baseline for winter food availability for migratory birds. We revealed a potential link between the number and diversity of macro-invertebrates found and the substrate and depth of water column, with some areas boasting a huge diversity whilst others had very little to no life. Our report provided an insight in the macro-invertebrate abundance and diversity in winter with suggestions for repeat monitoring using similar and different monitoring techniques.